Cover of guide leaflet, price 5p. Over the years, a number of guide leaflets have been written for sale to visitors to All Saints Church. These were usually written by incumbent vicars, or based on versions by previous vicars. The ’Architectural and Historical Guide’ is much more extensive than others and because it is a large document is attached here in three PDFs. The Story of All Saints is a brief and not entirely accurate guide to the church and its history, written at some time after 1957 (the last date mentioned in the leaflet). 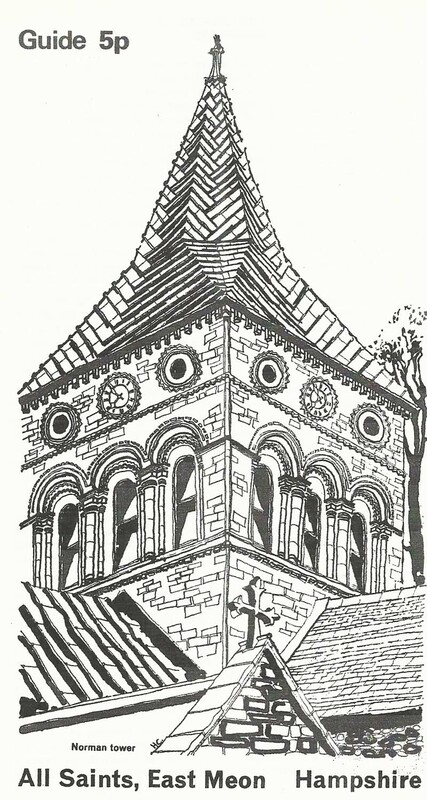 The first part of a detailed description of the church, its history and architecture, date and author unknown. Second section of detailed description. Part 3 of detailed description. Leaflet, post 1957, with brief notes on history and plan of church.